We can deliver free Construction related NVQ’s across a wide range of occupations. If you or your staff require CSCS or CPCS/NPORS certification, we can help. We currently have funding through The Edge in Cumbria, meaning we can fund your NVQ Level 2 or Level 3 Qualifications, which can lead to you gaining your Blue or Gold CSCS Cards. We have other occupations available, please ask us if you cannot see what you are looking for. 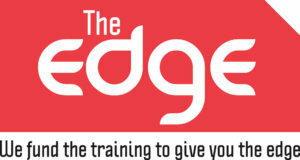 The Edge is funded by the European Social Funded, co-financed by the Skill Funding Agency and commissioned by Cumbria LEP. Carlisle College are the accountable body for the contract which is delivered by a partnership of providers.